Marie Caroline Paulus, 91, of Burlington, passed away on Friday, November 30, 2018. Born May 3, 1927, she was the daughter of William H. and Marie C. deBoer Bresser. On October 17, 1946, she married Warren Roy Paulus on his return from serving with the US Navy. Warren passed away on April 13, 2003. Marie was a 1944 graduate of Burlington High School. During the war, she worked at Midwest Biscuit Company and later was a part time clerk at Ryder's Confectionery. She was a lifetime member of Zion United Church of Christ, an SCC basketball ticket holder and a Chicago Cubs fan. 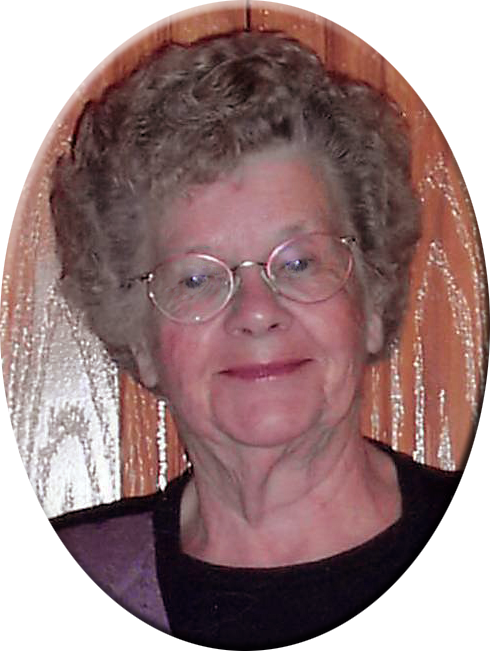 Marie enjoyed walking, reading, going to the casino, playing card games with her family, watching Jeopardy, going on trips and attending events of her grandchildren. Survivors include four sons, Robert (Lily) Paulus, David (Patricia) Paulus, James (Stephanie) Paulus, all of Burlington, and John (Debra) Paulus of Biggsville, IL, seven grandchildren Melody Paulus, Kammi Paulus, and Kerri Huffman of Burlington, Jackie (Shanae) Paulus of Chicago, IL, Caleb Paulus and Jared Paulus of Biggsville, IL, two great-grandchildren, Alex Kane of Ames, Elijah Kane of Burlington, two sisters, Joan Drish of Clearwater, FL, Virginia Jurss of West Bend, WI, two extended family members, Mark Billups and Brandon Billups of Burlington, sister-in-law, Helen Yaeger of Burlington, nieces, nephews and cousins. Besides her husband, she was preceded in death by her parents and two sisters, Lois Bence and Elaine Ryder. The family will receive friends from 1:00 PM until 2:00 PM Tuesday, December 4, 2018 at Prugh's Chapel, downtown. A procession will follow for the graveside committal service at Aspen Grove Cemetery with Reverend Brice Hughes officiating. Memorials have been established for the Burlington Care Center, Des Moines County Humane Society and Zion United Church of Christ.